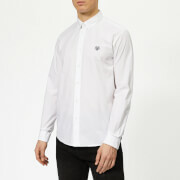 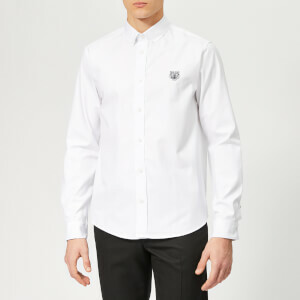 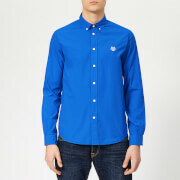 Classic white shirt from Vivienne Westwood MAN. 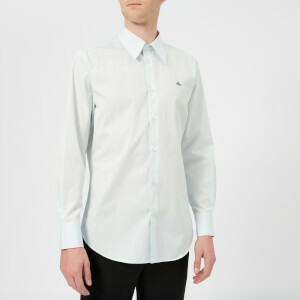 Crafted from comfortable cotton poplin, the long sleeve shirt comprises a pointed collar, a tonal button front placket and a curved hem. 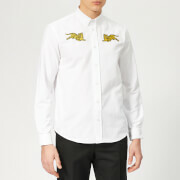 The brand's embroidered orb logo in metallic thread sits on the chest. 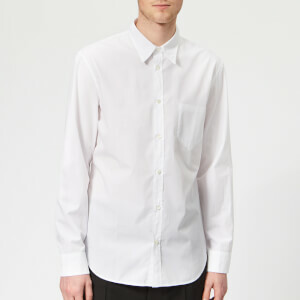 Features split buttoned cuffs and a back yoke with pleat detail. 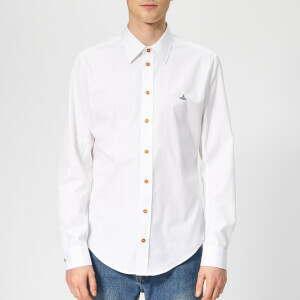 Cut in a regular fit.